Saturday Morning Kitchen Chef James Martin and our Head Chef. Ready Steady Cook Celebrity Chef Bian Turner and our Head Chef. 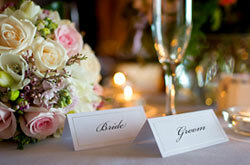 Christian Faversham is one of the premiere Wedding Caterers in the South-East of England*. 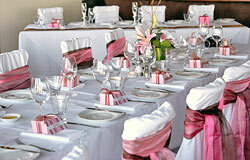 2010 saw the launch of our All Inclusive Wedding Service. Marquee, Dance Floor, Star Light, Lighting, Staff, Supervisor, Catering, Generator, China, Cutlery, Glasses, Wash Up - just choose the package you want. 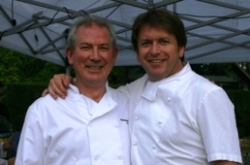 My catering team and I were honoured to have been chosen to use our speciality skills and provide catering to two different events in which Saturday Morning Kitchen Celebrity Chef James Martin, and Ready Steady Cook Celebrity Chef Brian Turner came along to help serve guests. 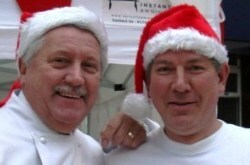 Both events equated to 1,100 guests, we cooked, James Martin and Brian Turner served guests with helpers. Reliable Service – With many years experience in wedding catering we understand exactly what is required, and we know how long successful catering events take to prepare and complete. A reliable and professional wedding caterer is worth their weight in gold. We are often catering at celebrity homes and events. With the backup of several key departments within our group you can rest assured that when we say “no problem”, it won’t be. Good News - Travels fast…….we are continually invited to provide wedding catering and other wedding services. Demographic restrictions and the transportation staff allow us to regularly provide catering services to London, Surrey, Bristol, Gloucestershire, Sussex, Hampshire, Berkshire, Dorset, Wiltshire, Oxfordshire, Kent, and Bristol with parts of Hertfordshire and Essex. Special events for Blue Chip clients takes us to Scotland, Wales, Cornwall, York, and to France. Our main distribution warehouse borders the three counties Hampshire, Surrey, and Sussex which feeds the areas we operate. Fortunately we are conveniently situated close to the M25, M4, M3, M1, M27, M5, M11, M20, M26 motorways which are remarkably clear of traffic early in the morning when on the way to set up a wedding catering kitchen or catering area ready for your wedding catering. Telephone Contact – There is a demand for experienced reliable caterers and staff. Our group have 5 full time office staff and 5 warehouse staff that constantly deal with work in progress and advanced bookings. To make an enquiry you can send a mail from our contact page out of office hours or telephone from one of the numbers on our contact page. 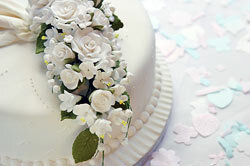 A comprehensive traditional wedding menu page can be browsed to see what wedding catering is currently offered. The family group genuinely have the largest Spit Roast department in Europe. The Hog Roast Company can spit roast virtually anything you want. English lamb, local free range Plantation Pigs. Extra Mature Scottish beef, or any other meat you wish. When you book for formal or informal wedding catering you will find the food we create is probably the best. Each wedding event is carefully planned with free range or organic meat with local fresh produce. We invite you to browse our website to see what makes us unique.